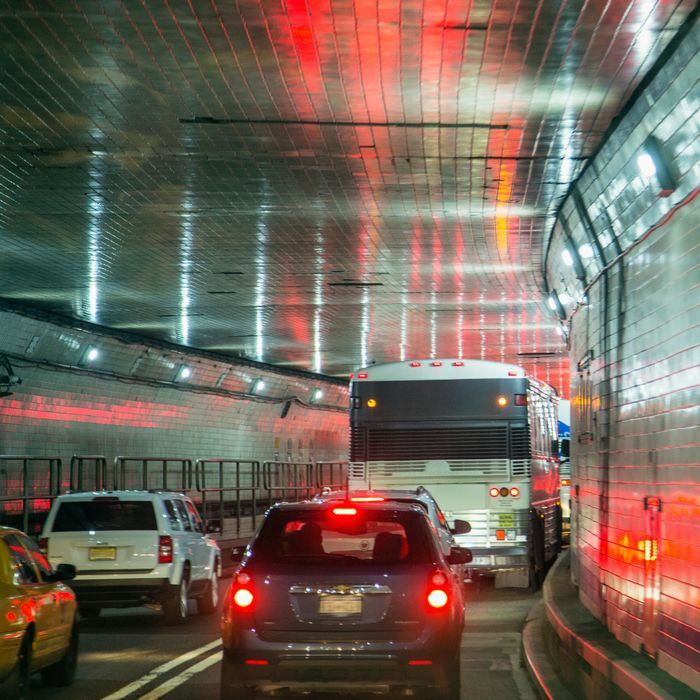 A New Jersey man was arrested Thursday evening, after he was so turned on by the romantic setting in the Lincoln Tunnel that he parked his minivan in the middle of traffic, so he could take matters into his own hand. Masturbating, of course, is not against the law, and 48-year-old Ismael Esquilin should be credited for not engaging in an egregious form of distracted driving. But willfully holding up rush-hour traffic in one of the nation’s busiest tunnels is not something law enforcement can allow. When police approached Esquilin’s Dodge minivan, which was motionless but still running, they saw him “performing a lewd act,” according to Port Authority spokesperson Joe Pentangelo. They also found a glass pipe and PCP. Esquilin was charged with a DUI, drug possession, reckless driving, and impeding traffic.